Not the iPhone 5 (obviously), it’s the iPhone 7 of course. The best round-up of the new iPhone 5 (6th generation) comes from The Next Web. From a mobile marketing standpoint, do the changes have any real impact? Larger Screen – the impact is not significant, delivering a slightly better user experience, however by introducing a new size, this may well impact on app builds and particularly legacy apps. Will brands be up to spending more money on development? Could this drive more businesses to choosing web and responsive design over apps? 4G Support – brands need to provide a rich content engagement. Access to the rapid growth of 4G networks will open up a whole new world of brand content and is probably the most significant update from a marketing perspective. No NFC – this is also significant for marketing … a significant disappointment. It was unlikely that Apple would have shoved an NFC chip in their handset – they like to do things their own way and define the market. However, we know that iPhone users tend to drive demand and activity – web browsing, app downloads and mobile social media , have all been boosted by Apple’s smartphone users. If we want to see NFC driving forwards then seeing it in an iPhone is the best way to do it. Finally (though not on the subject of mobile marketing) the end of Ping was announced. Apple have never been a social network business, and the launch of their music recommendation system was never likely to succeed (I was bemused by it when they Ping it two years ago). The company’s real foray into social media came last year with the deep integration of Twitter in to iOS. No surprises really, but early reports suggest that Instagram on Android is as popular as people expected, with over 1 million downloads of their app in the first 24 hours. The iPhone version has steadily built a strong following, with over 30 million users, and it looks like the Android version will match that. The question that most people are asking was ‘why did it take so long’? According to Instagram, trying to develop for two platforms earlier would have made other innovations harder to implement. Although a number of brands, such as Starbucks, Topshop, Ford (Feistagram) and Red Bull have used the channel, the potential for co-creation remains under-used. Perhaps the Android version will see brands making more use of Instagram. What is the current UK landscape for smartphone penetration? Around the end of 2012, the UK reached tipping point with over 50% smartphone penetration. Comscore data from January this year shows how that is distributed by age and income. 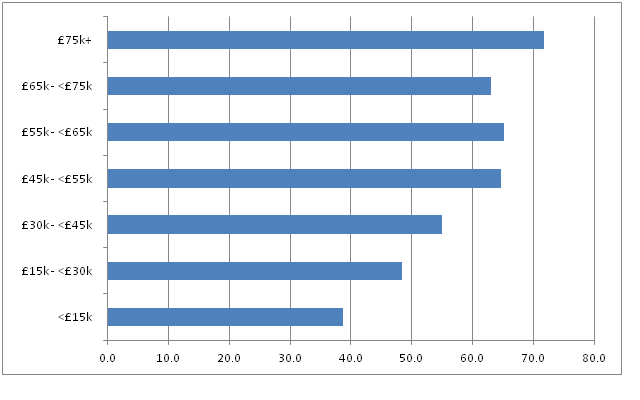 In terms of OS breakdown, Android continues to be the leader, but closely followed by the iPhone, however in terms of usage, iOS still dominates. 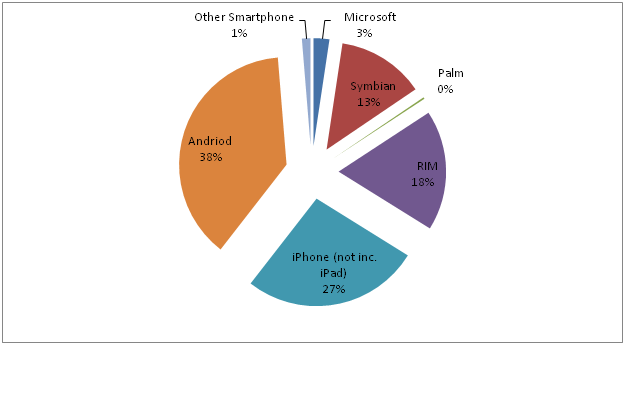 RIM’s dwindling market share is largely lost to Google’s Android. What accessory have you always wanted for your iPhone? A bottle opener obviously. You’re probably desperate to know how many bottles of beer you have opened with said accessory? Good news then. The iphone bottle opener comes with an app which can do that. The Intoxicase (what else would you name it?) is an iPhone case with an integrated bottle opener and an accompanying app. To me it seems to be an utterly useless gadget offering a complex solution to a problem that never existed in the first place. But that’s me. I’m not a student. If only they made a cork screw version for wine bottles then I would see the point! 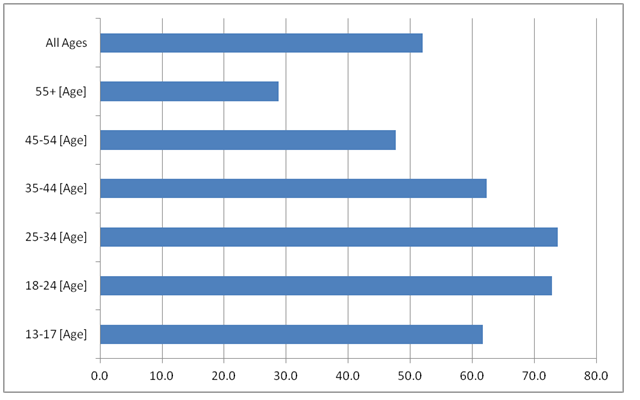 However, when it comes to OS usage, Apple dominates with their iOS. There has been previous evidence that iPhone users do more of everything than other OSs – more app downloading, more web browsing, more social media. Add other iOS devices in the form of the iPad (and a few iPod Touches) and Apple’s operating system dominate the market. However, it is the iPad that takes the most traffic of all. Whilst the iPhone accounts for 42% of data, Apple’s tablet has nearly 47% of all data traffic and 97% of all tablet-based online usage.